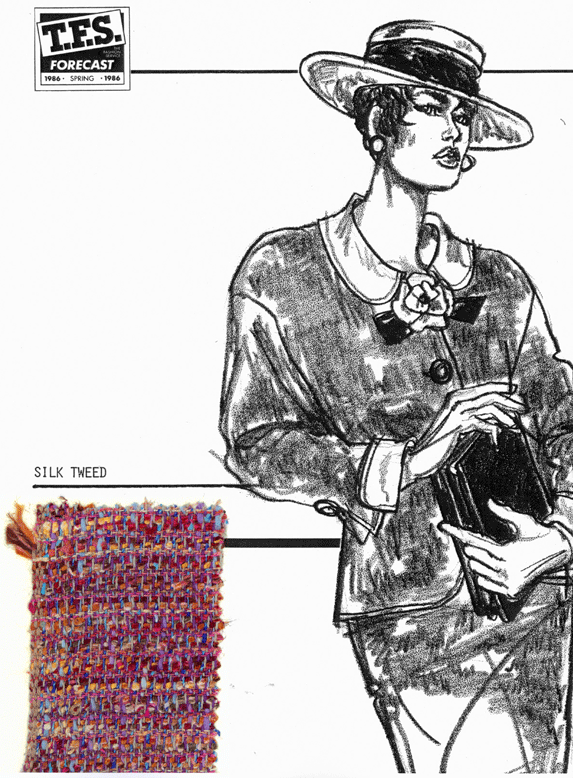 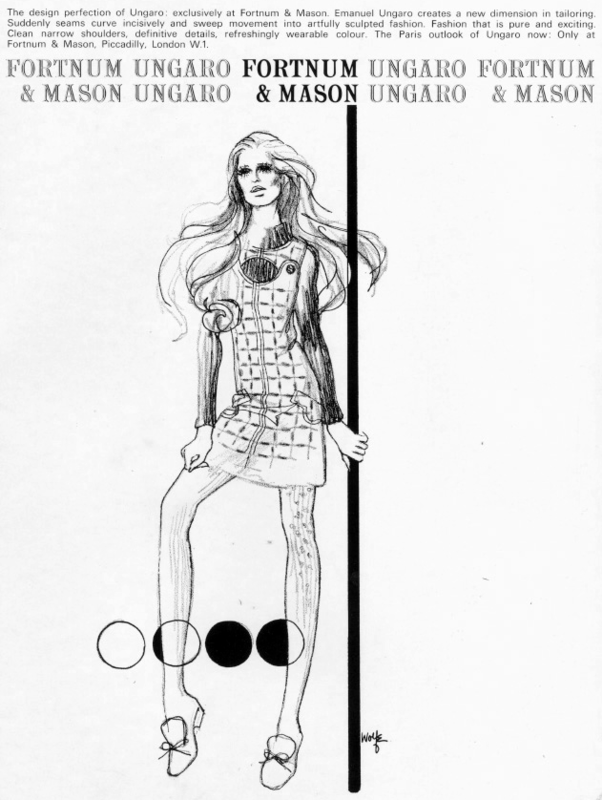 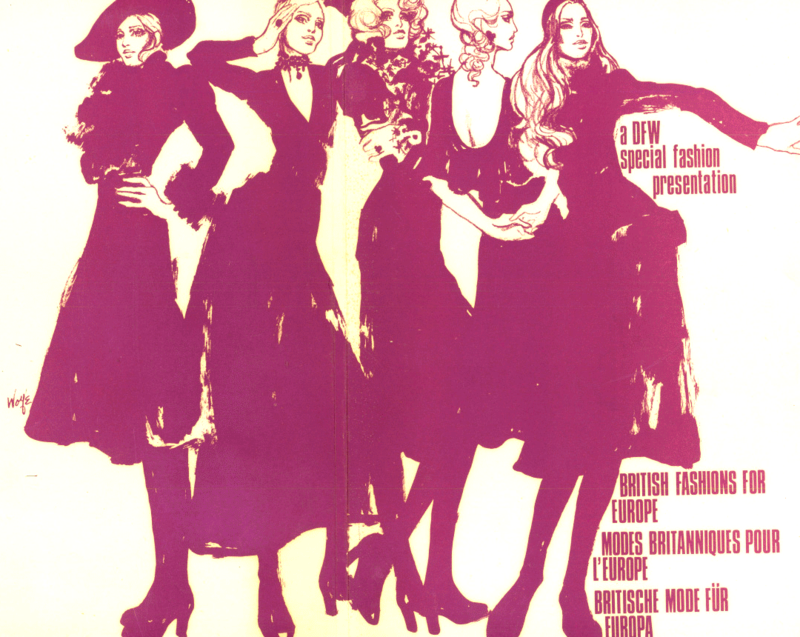 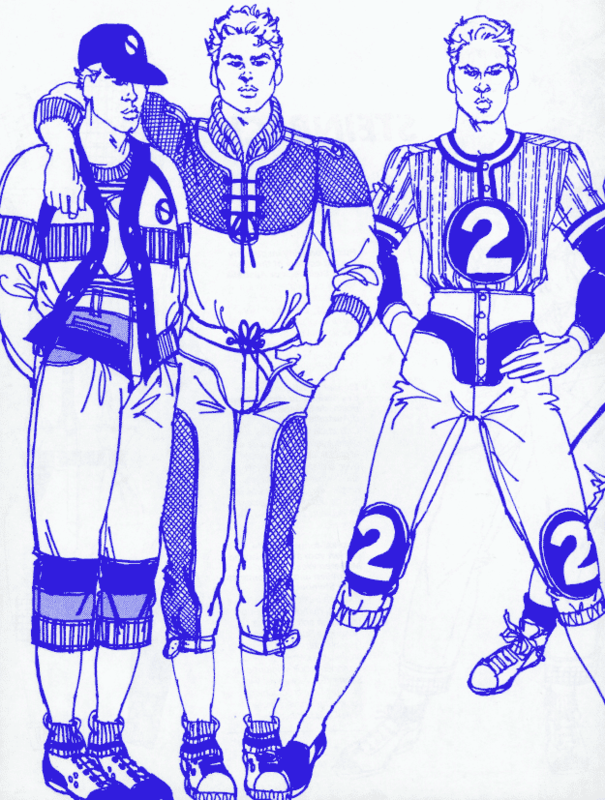 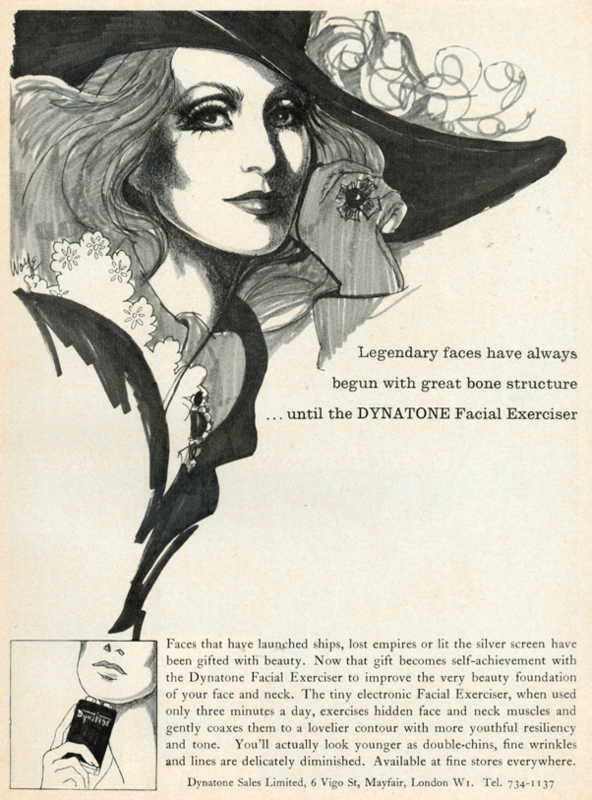 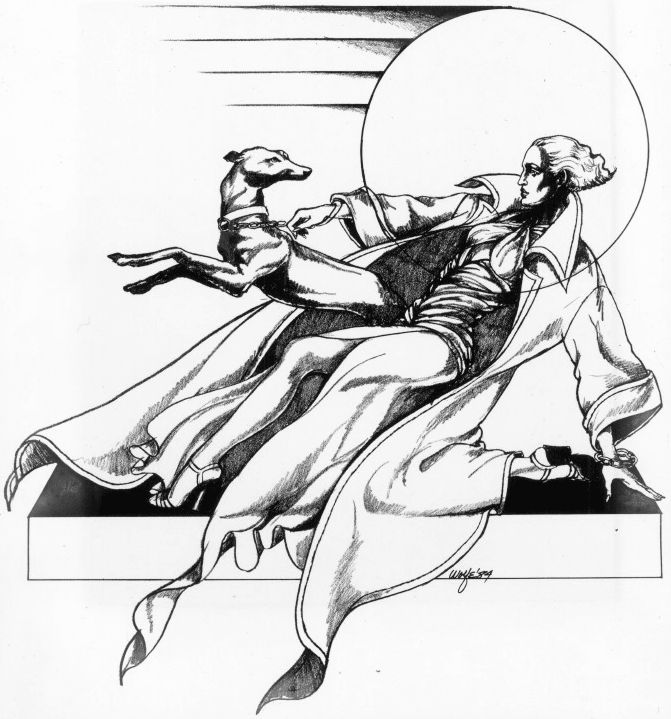 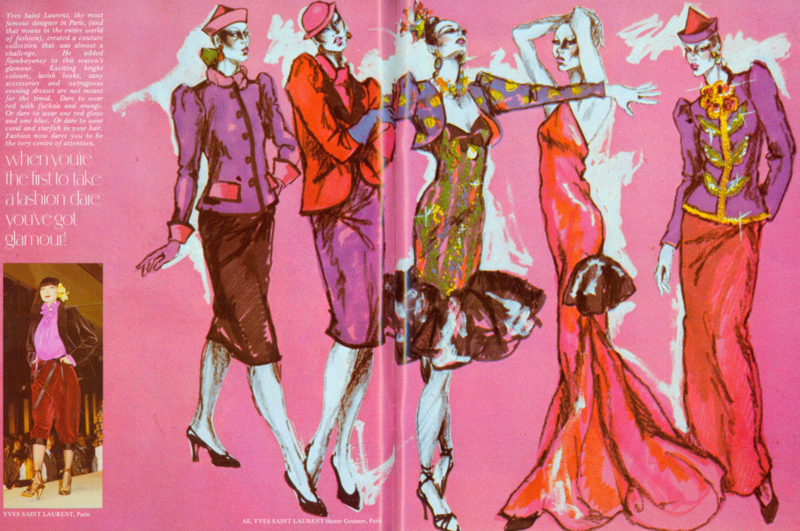 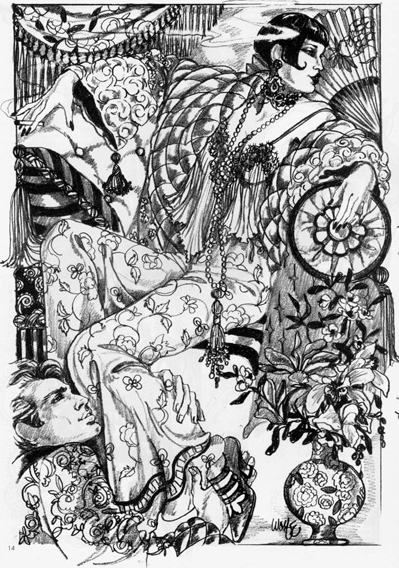 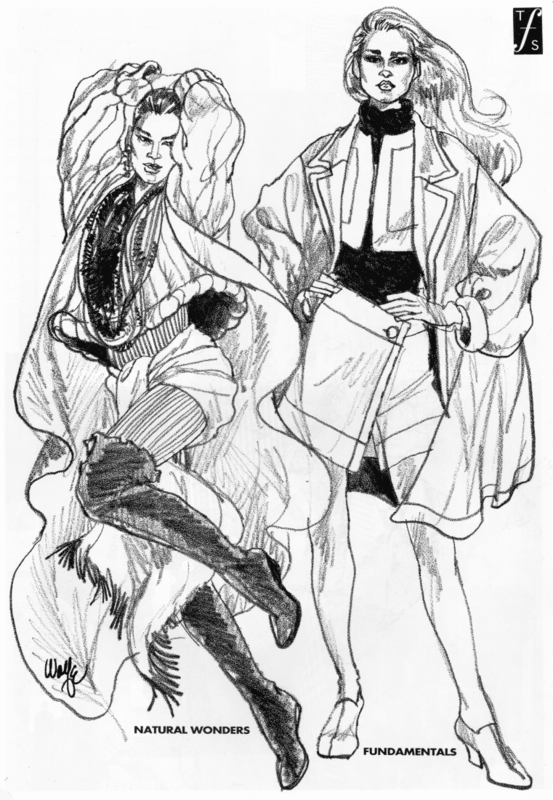 From 1968 to 1981, David Wolfe lived in London where he was considered the top fashion illustrator on the English fashion scene. 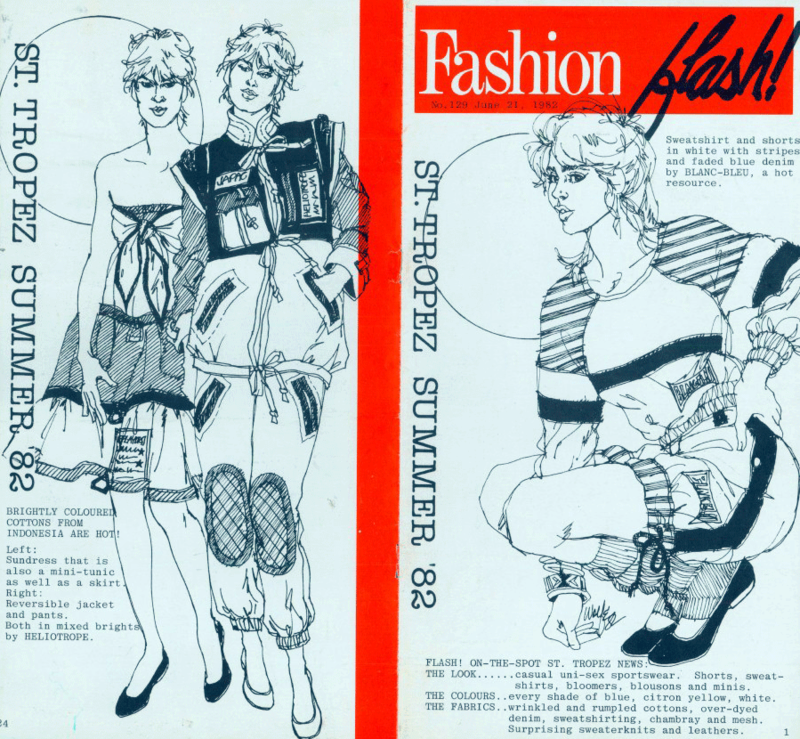 His distinctive work appeared in many magazines, newspapers, advertising campaigns and trend services. 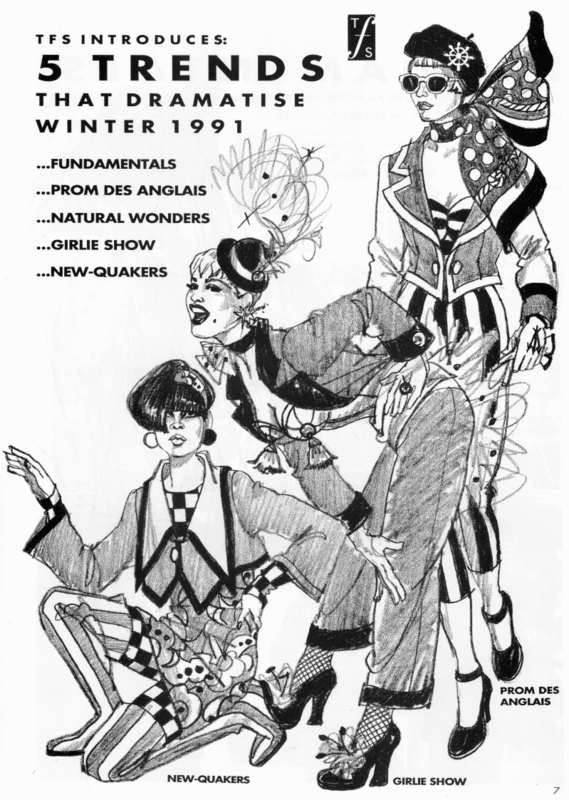 Publications: The London Sunday Times, Harper’s Bazaar, Vogue, Women’s Wear Daily, The Daily Express, Drapery & Fashion Weekly, The Telegraph, International Textiles, Couture Magazine (Hong Kong). 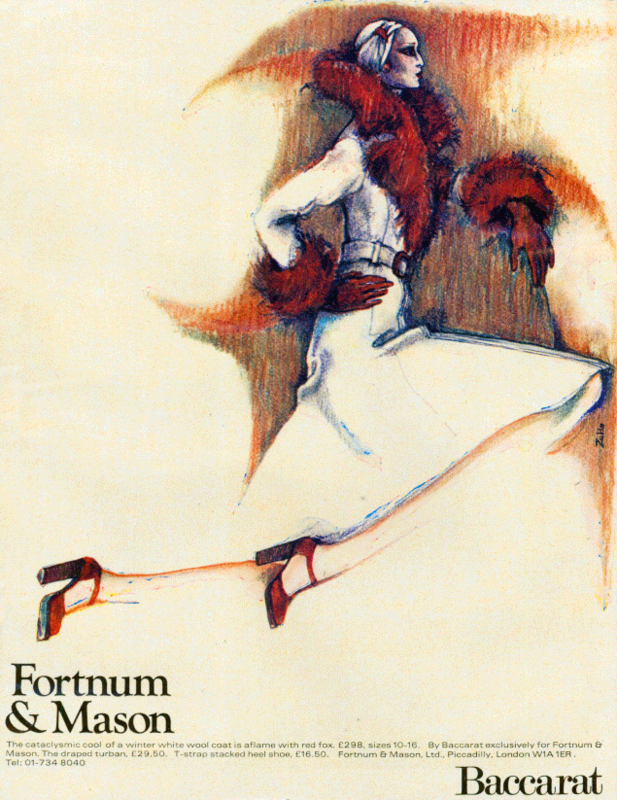 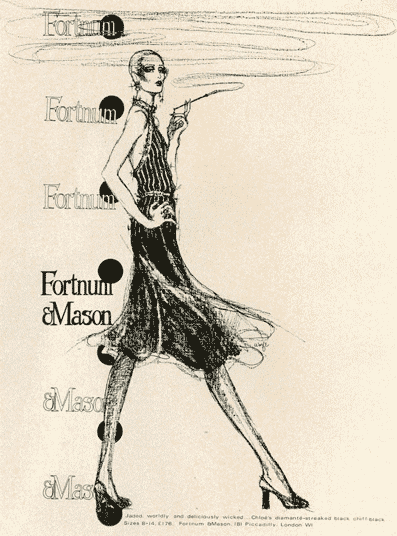 Advertising campaigns: Fortnum & Mason, Aquascutum, Adel Rootstein Mannequins, Liberty of London, Selfridge’s, Jaeger. 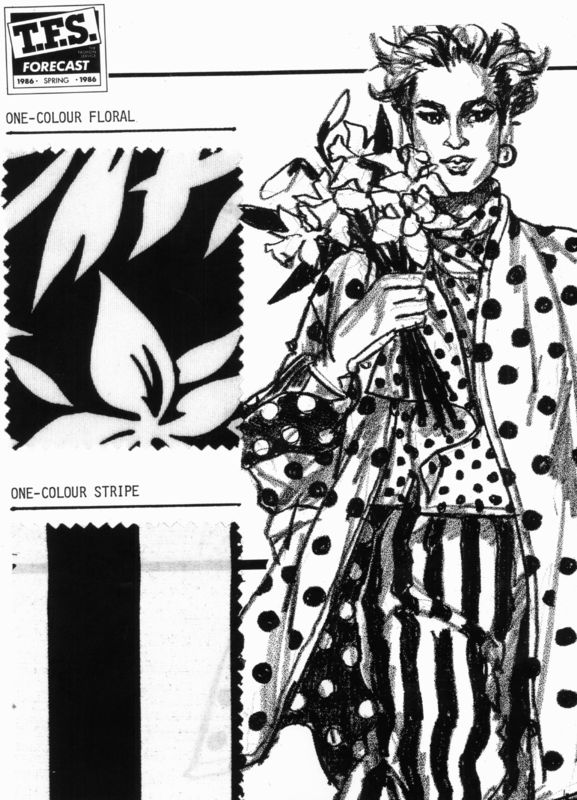 Trend services: IM International, TFS The Fashion Service.